This is just the simple buying and selling of coins. Spot markets pair crypto- currencies against fiat. The most liquid crypto market is bitcoin(BTC/XBT) paired against USD or CNY. Futures also let you leverage your trades but have an expiry date for the contract to end. Often futures will give you much higher leverage than just regular margin trading. You can buy and sell your contracts at anytime but if you keep them open, your profits and losses will be calculated on the day of settlement. Just like regular margin trading, you can lose your initial deposit if the markets move against you. Futures can add other strategic elements such as hedging, arbitrage and settlement manipulation. There are some altcoins that can be traded on spot, margin or futures contracts. The thing that makes altcoin trading unique is that most alts are paired against BTC. This requires being aware of at least two markets simultaneously. There are other types of altcoin pairing but the BTC markets tend to have the most liquidity. Altcoins are measured in satoshis, which are units of .00000001 BTC. The order book is where traders place orders to buy and sell coins. Bids are the side of the book where traders make offers to buy and asks is the side where they make offers to sell. Market makers place orders on the books and market takers take orders off the books. Market makers usually get charged less fees because they’re adding liquidity. Some exchanges will have professional market makers with deep pockets to fill up their books. Crypto has many different exchanges and no single place determines the price. There are some exchanges that are the most dominant and tend to steer the direction of the markets. Prices are determined by the last trade between buyer/sellers and averaged out amongst the different exchanges. 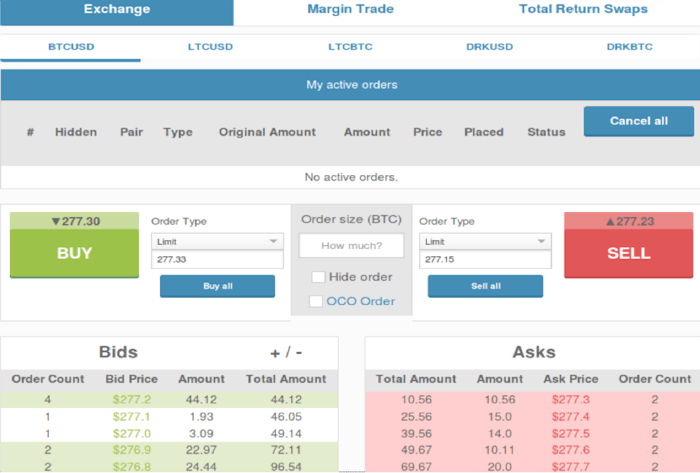 LIMIT ORDERS: let you set an exact price to execute your trades. These orders can get you the exact price you want but can take longer to fill. FILL OR KILL: is a limit order that requires the entire order to be filled or is cancelled. This will assure that your order is executed at the exact price. MARKET ORDERS: will buy or sell based on the closest price on the books. These orders let you make a trade quickly and can be good catch breakouts/downs. Market orders can get you a bad price during volatile markets. STOP ORDERS: are used to protect your trades when the markets move against you. You can use stops to trigger once prices hit a certain level. When the markets are too volatile you may not get the exact price set on your stops. TRAILING STOPS: these types of stop orders let you ride profitable trades and will start to lock in your gains if the markets move against you. 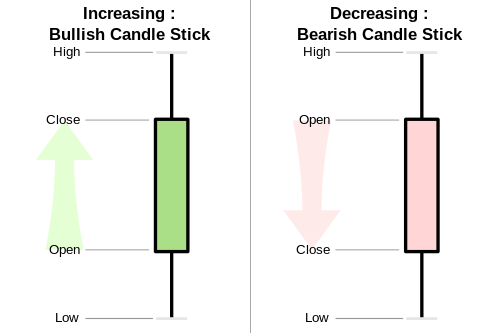 Candlestick charts are a visual representation of price history. Charts allow traders to analyze the markets to determine future probabilities of price. Traders draw line to connect multiple points on charts to measure price movement. It’s possible to measure a price range by drawing support and resistance lines. Areas of support and resistance act as barriers to keep prices contained. Support is an area where buyers take over to push up a falling price. Resistance is an area where sellers take over to push down a rising price. There needs to be multiple points of contact when drawing support and resistance lines on the chart. Round numbers often act as major areas of support and resistance due to their physchological impact. Prices tend to give us general areas of support and resistance as oppose to exact numbers. Trend lines are used to determine the direction of the markets. 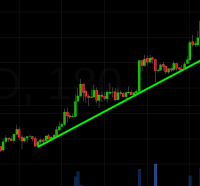 These are diagonal lines that connect at least three points of support and resistance. 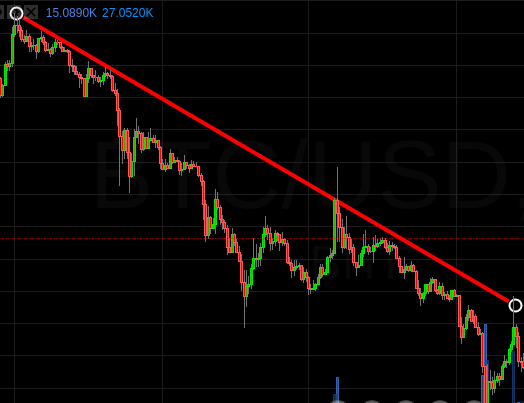 An upwards trend will make higher highs and lows. A downwards trend shows lower highs and lows.